In an effort to address the expanding transportation needs of the university community, NIU Parking Services has been engaged in a months-long review of current campus parking resources and policies. 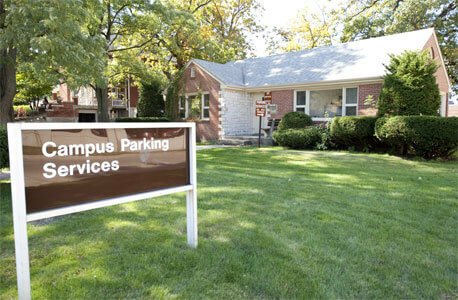 Among the practices being examined is enforcement hours for campus parking regulations. Recently, Parking Services temporarily changed parking enforcement hours to 7 a.m. to 5 p.m., Monday through Friday. The temporary modification of the campus parking enforcement allows drivers without an appropriate NIU parking permit to park in a campus lot after 5 p.m.– currently designated with 7 a.m. – 7 p.m. parking enforcement signage – without receiving a citation. The temporary change in parking enforcement hours also applies to the visitor lot, meters and pay stations. Drivers that park in spaces on campus with parking meters or pay stations after 5 p.m. may park free of charge. The new parking enforcement hours are scheduled to remain in effect through the end of the spring semester. The change in the parking enforcement hours has allowed Parking Services to better manage campus parking resources during peak hours of university operations while providing enhanced access to on-campus parking during evening hours. Mitchell emphasized that the changes in parking enforcement hours do not apply to restricted parking areas such a no parking zones, handicapped and reserved parking spaces and campus lots requiring permits at all times. “We will review feedback and data gathered during the trial period and should new regulations be approved, a permanent change of hours of campus parking enforcement will take effect July 1, 2016,” Mitchell said. Individuals with questions about campus parking at NIU may contact the Parking Services office at 815-753-1045 or via email at parking@niu.edu.